Bacon might not be good for your heart, but apparently it does make for a good weapon. No, that isn't the plotline for a comedy skit. It really happened. According to a Facebook post by the Greater Manchester Police, an 86-year-old British woman used bacon to defend herself. After withdrawing a large amount of money from an ATM, the woman went to the grocery store. While there, an unknown perpetrator grabbed the victim's cart and demanded all of her money. But the woman wasn't going down without a fight, so she hit the offender with a packet of bacon. The stunned offender walked away from the crazy bacon lady and the supermarket. Greater Manchester Police posted about the incident on their Facebook account, which prompted an all-out comedy fest in the comments section. Luckily, the woman walked away unharmed. The attempted robber has yet to be named, but we can only hope her name is Chris P ... get it? 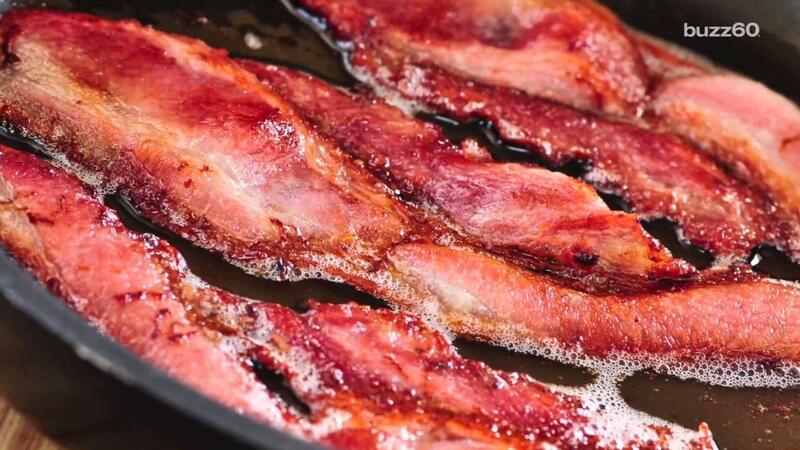 Speaking of bacon, here are some foods you definitely should be adding it to! Add bacon to your guacamole. Extra twist: spoon that guacamole into a boiled egg! Wrap bacon around your stuffed jalapenos. Bacon adds another delicious layer to caramelized brussels sprouts. Get some pork with your pork by wrapping your hot dogs in bacon. Bacon always belongs inside roasted potato skins.